Look, learn, and create together with interactive programs for kids of all ages, parents, caregivers, students and faculty. Create with paint, printmaking, Legos, pencil, or explore the formal elements of art through shape, shading, construction, and design. No art experience necessary, just a sense of curiosity. Entry is free and open to the public because of the generous contributions of the Sabatini Family Foundation. We welcome people of all ages and ability levels so come by yourself, with your school or as a part of a group. If you plan to come with a group of 7 or more please call or email us to schedule ahead of time. 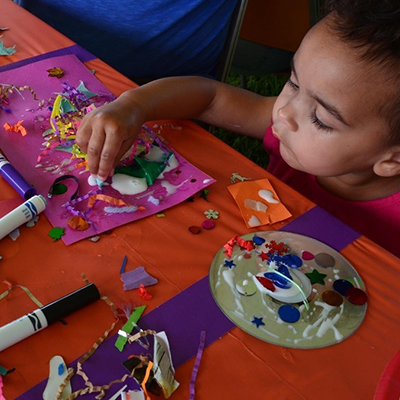 Visit the Events page for special art programs geared toward families. The ArtLab is open during regular Museum hours.